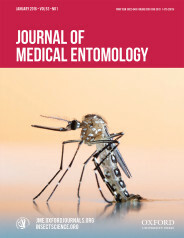 Journal of Medical Entomology publishes research related to all aspects of medical entomology and medical acarology, including the systematics and biology of insects, acarines, and other arthropods of public health and veterinary significance. Question: What do Napoléon Bonaparte, Walter Reed, the Panama Canal, and the Zika virus all have in common? Answer: The Aedes aegypti mosquito. 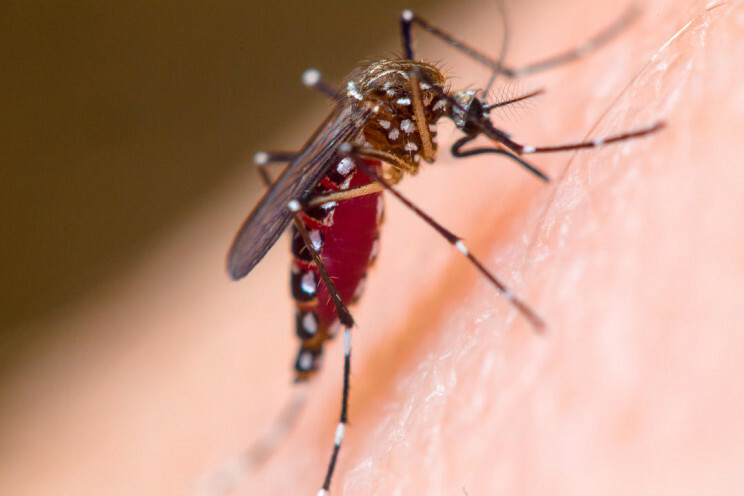 Although its official common name, according to the Entomological Society of America (ESA), is the “yellowfever mosquito,” Aedes aegypti is also the primary vector of dengue, chikungunya, and the Zika virus. The ability to transmit these and other viruses makes Aedes aegypti one of the deadliest animals in the world. According to the World Health Organization (WHO), there are an estimated 200,000 cases of yellow fever each year, causing 30,000 deaths, 90 percent of which occur in Africa. The WHO also estimates that about 390 million cases of dengue occur globally each year, and severe cases can be fatal. Zika, which was detected in the western hemisphere for the first time in 2015, has recently generated an incredible amount of media attention worldwide, as did chikungunya when it was first detected in the western hemisphere in 2013. But the other viruses have been even more devastating, and the Aedes aegypti mosquito has actually changed the course of human history. In 1801, a native Haitian named Toussaint L’Ouverture led a slave revolt and declared himself ruler of the former French colony. The following year, 20,000 French soldiers arrived to put down the insurrection under the command of General Victor-Emmanuel LeClerc. The French military triumphed over the Haitians in battle, but they were unable to withstand the damage inflicted upon them by Aedes aegypti mosquitoes and the yellow fever virus that they transmitted. After just four months, LeClerc had lost a third of his soldiers to the disease. He didn’t. Nearly six months later, LeClerc contracted yellow fever and died on 22 October 1802. Of the original 20,000 French soldiers – not to mention thousands of reinforcements – only 3,000 returned to France. A female Aedes aegypti mosquito feeds on a human host in Dr. Grayson Brown’s lab at the University of Kentucky in Lexington, KY. Photo by Matt Barton, ©2016 UK College of Agriculture. Photo used with permission. At that time, no one knew that the Aedes aegypti mosquito was the vector of the disease. It would take nearly 80 years before someone figured it out, and nearly 100 years before the theory would be proven and accepted by scientists. In 1880, a French company called La Société Internationale du Canal Interocéanique set out to construct a canal through present-day Panama that would connect the Atlantic and Pacific oceans. The French had recently completed a similar project, the Suez Canal, so they expected the new venture to be successful as well. However, they soon found out that digging a canal in the dry Egyptian desert was a lot different than doing so in the hot, humid tropics where mosquitoes thrive. Just as they had done to the French soldiers who were sent to Haiti 80 years earlier, Aedes aegypti mosquitoes made the workers’ lives unbearable – and for many, impossible – by transmitting the yellow fever virus. In addition, the workers had to deal with other mosquitoes that transmitted malaria. By 1889, the year they abandoned the project, it is estimated that 22,000 workers died from mosquito-borne diseases and the company lost hundreds of millions of dollars. Anyone who has served in the US military has probably heard of the Walter Reed National Military Medical Center in Bethesda, Maryland, but the accomplishments of Major Walter Reed are not as well known. In 1869, Reed became a medical doctor when he was only 17 years old. Over the next three decades he served as a medical officer in the US Army and studied pathology and bacteriology. Walter Reed. Public domain via Wikimedia Commons. In June 1900, Reed and some US Army colleagues were sent to Havana, Cuba to investigate the cause of yellow fever. There were many theories at the time. Some believed it was caused by bacterial pathogens, while others believed that blankets or clothing that had been used by yellow fever victims could somehow infect other people who came into contact with these items. One man, a Cuban doctor named Carlos Juan Finlay, had suspected for nearly two decades that an insect vector was involved, but he was never able to prove it. Dr. Finlay met with Dr. Reed and other members of the US Army Yellow Fever Board and told them about his theory, which they were able to validate through a series of experiments. One of them involved allowing infected mosquitoes to bite volunteers to see if they would contract the disease, which they did. Finally, the relationship between the yellow fever virus and its vector, Aedes aegypti, had been established. The discovery caused public health officials in Havana to concentrate on mosquito control, which greatly reduced cases of yellow fever, and the same mosquito management procedures were used in Panama a few years later in 1904 when the United States took over the construction of the Panama Canal. If it weren’t for Walter Reed’s experiments and the massive mosquito control efforts in the Canal Zone, the United States probably would have experienced the same disastrous results as their French counterparts. In 2014 – well before most people had ever heard of Zika or chikungunya – the Entomological Society of America and the Entomological Society of Brazil agreed to host a meeting of international scientists to collaborate on solutions for controlling the Aedes aegypti. The Summit on the Aedes aegypti Crisis in the Americas will take place on 13 March 2016 in the city of Maceió in Alagoas, Brazil. Representatives from international entomological societies will meet with representatives from the Pan American Health Organization, funding agencies, industry, and key figures from governmental organizations such as the USA’s Centers for Disease Control and Prevention. 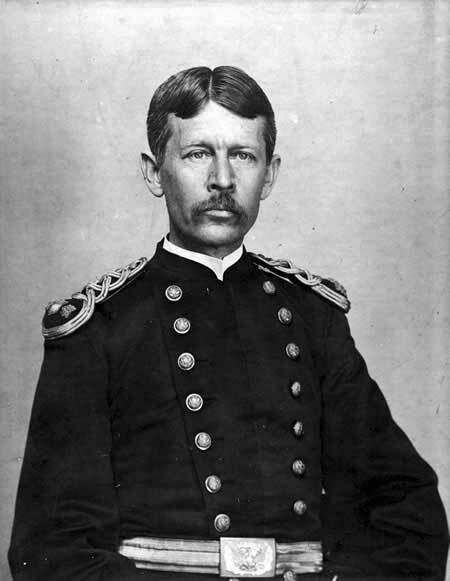 It’s been more than 100 years since Cuba’s Carlos Juan Finlay met with Walter Reed and his colleagues to determine the cause of yellow fever. Hopefully, this new international collaboration will lead to solutions that could potentially save thousands of human lives. Featured image credit: The Aedes aegypti mosquito has white markings on its legs and a lyre marking on the upper surface of its thorax. Photo by Matt Barton, UK College of Agriculture, ©2016. Photo used with permission. Richard Levine, the Communications Program Manager at the Entomological Society of America, is the editor and lead writer of the Entomology Today blog, and is co-author of IPM for the Urban Professional: A Study Guide for the Associate Certified Entomologist. He earned a bachelor’s degree in English and a master’s degree in American Studies from the University of Maryland. After losing most of his army to disease in Haiti, Napoleon gave up colonial aspirations in the Americas and decided to sell French territory there. Thomas Jefferson was able to take advantage of the French decision resulting in the Louisiana Purchase. It’s interesting that this article gives the credit to Walter Reed when it was Carlos Juan Finlay who actually made the discovery. Yes, hooray to Dr. Carlos Juan Finlay! Hmm, how come I’ve never heard of his name before? In the past, there were so many new viruses when human civilization was on a much smaller cultural and technological level. now, 1 year after the outbreak od Zika can we say that humanity win?